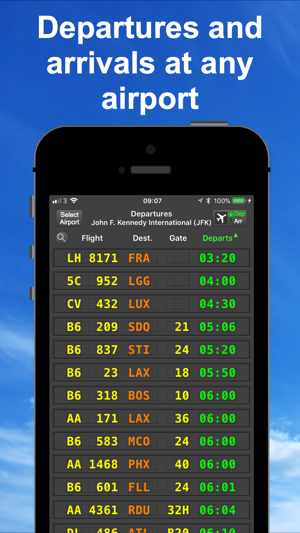 Turn your iPhone or iPad into an animated old style retro flip-flap Arrivals and Departures flight board for any airport in the world! mi Flight Board is designed based on the old departures board at the Grand Central Terminal Station in New York City and has a beautiful old style retro feel. , the #1 travel app in over 35 countries. 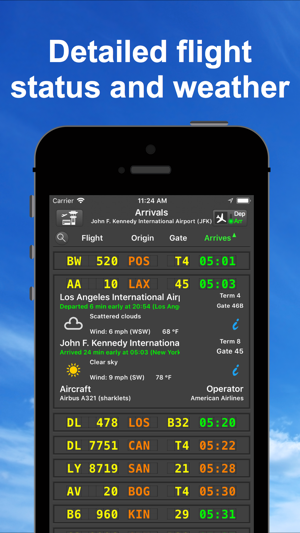 See our other flight tracker and flight radar apps. 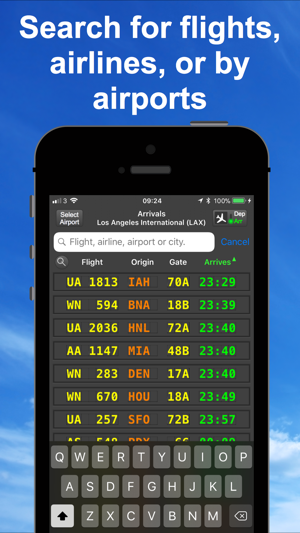 This app has an optional subscription to enable flight notifications pushed directly to your phone and extended time frames for the flight boards out to 24 hours. There is one subscription and three ways of paying, monthly (bronze), 6 monthly (silver), or yearly (gold). This is an auto-renewing subscription. This subscription unlocks premium services across all our apps, where available. Get updates on departure & arrival times, latest delays, gate & baggage reclaim changes. No commitment, you can cancel any time. Payment will be charged to iTunes Account at confirmation of purchase. Subscription automatically renews unless auto-renew is turned off at least 24-hours before the end of the current period. Account will be charged for renewal within 24-hours prior to the end of the current period, and identify the cost of the renewal. Subscriptions may be managed by the user and auto-renewal may be turned off by going to the user's Account Settings after purchase. Any unused portion of a free trial period, if offered, will be forfeited when the user purchases a subscription to that publication, where applicable. Please note that some charter flights are not listed and that flight data may be delayed by up to 15 mins due to FAA regulations and that charter flights are not listed. Thanks for using the flight board app. 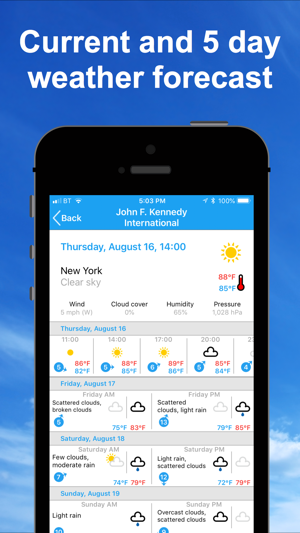 This is a minor release that enables uses to change the units for the weather view separately from the main app. While I just purchased this app today, I've had a similar one before and when it was discontinued, I was devastated. So, I'm glad to see this one and I've been playing around with it for a few hours. So far, it appears to be working properly so I will give it five stars. I do have one suggestion for now. 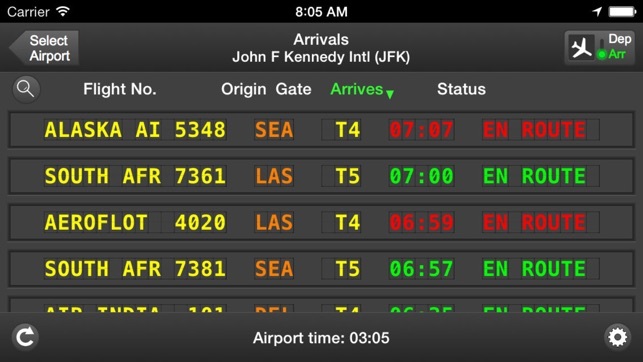 My old app would change the color when a flight was boarding and change the status to boarding. I don't know if that is something the developer can add, but that was extremely helpful when traveling and I traveled in my job then. Otherwise, it's a thumbs up. Since the most recent update the fonts are too large making the columns now overlap making the display difficult to read and sloppy looking. 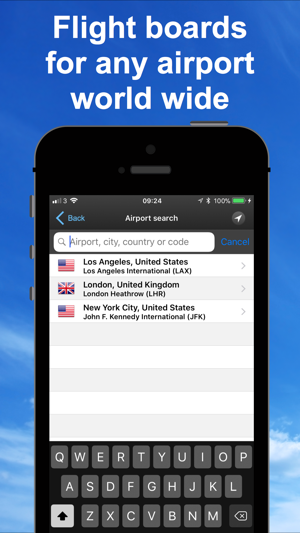 They have also added an annoying pop up asking you to select an airport every time you open the app. This used to be a great app until it was “upgraded”. I’ve cancelled my subscription and installed the “other” yellow icon app. The previous version was was sharp and quick. When it quit working for me today, I "upgraded" to this. What a joke. The previous version was fast. This one rolls through possible answers as if it was playing a slot machine. Much slower and no apparent enhancements. How do I get my $2.99 back??? Update: now it doesn’t show ANY incoming or departing flights, despite the fact that I’m searching for flights at EWR, IAH, and other major airports. What a waste of $$$.